The character of space is innately capable of diagnostic exploration. Its mystery only derives from our own inexperience of life, obscuring phenomena otherwise naked to the human eye. Space is simultaneously independent of our actions and dependent on the reaction, Irresistible and immovable is its nature. These characteristics are composed of both semantic qualities of the eye and syntactic quantities of the mind, given purpose in deed and meaning in effect. It can be partially measured in Cartesian terms, partially valued within the constrictive boundaries of a narrow class of types, but only fully contemplated in mathematical scales of size and shape. 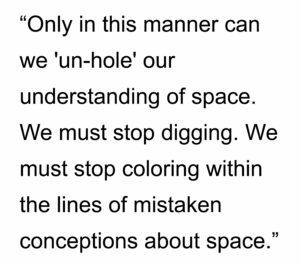 Only in this manner can we ‘un-hole’ our understanding of space. We must stop digging. We must stop coloring within the lines of mistaken conceptions about space. We must embrace the knowable unknowns; bring the disposition of space closer to our hearts to receive the epiphany that will shake the foundations of the building professions. Space is a material thing, a thing of substance, of quantity and quality that begs for our description, for our understanding, and for our reasoned implementations. We must reduct to deduct but deduction in the absence of product is a shadow, without meaning or substance. It becomes an empty vessel waiting to be filled. If we leave an empty receptacle for the citizenry, detached from the meaning of built space, to connote and denote, then it shall be filled for us, often with dire unintended consequences for our spatial experience. We cannot skate our way to spatial freedom but only walk the path of its responsibilities. These characteristics are of the mind and the hand, working in concert in the creation and evolution of society. We must become more aware of these consequences, of size and shape, of elongating or compacting, or dispersal or density. Size does matter not only in its measurement but also and mainly in the reaction as a contextual consequence. 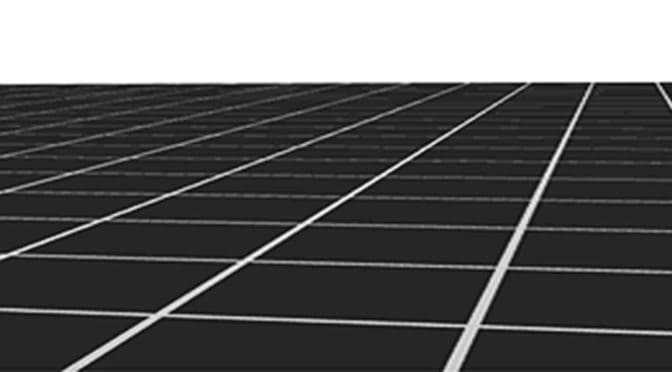 The line of the street in its horizontal and vertical dimension is worthy of examination as a discrete entity. However, absent of the network, its nature holds the absence of repercussion. It becomes a discordant beat, empty of its counterpoint, to generate a rhythm to the movements of life. We prescribe the false illusion of a static energy that cannot bear the weight of all the potential energy pervading the life force of the city, a place, a dwelling, or a people. We lose the connection between our constructions and ourselves; between each other; between them and us; and, between the invisible entity within which we reside and the Other within all of us. It is only when we liberate ourselves from our preconceptions and misconceptions that a true portrait of our spatial being can emerge from a multitude of brushstrokes. Then the generation and evolution of space will become a knowable known, spoken of in clarity, and not merely unconsciously practiced by rote. The spatial phenomena will be unveiled, unmasked, unhidden from our consciousness and its true beauty can be exalted and celebrated.